Instyle Adventures > News > 4WD Tour or Self Drive, Which is a Better Way to Explore the Kimberley Region? 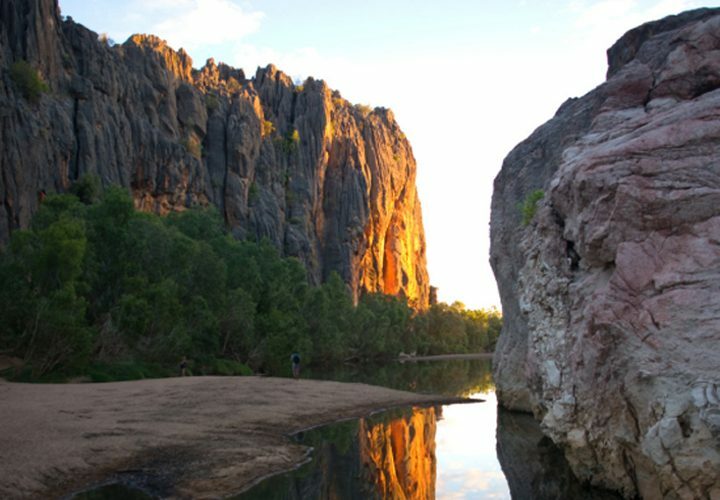 You’ve decided that an outback Western Australia Kimberley adventure is a priority on your holiday bucket list! Rest assured, you will fall in love with her vibrant colours, vitality, history and endless space. Get set to explore stunning landscapes of rustic-red mountain ranges, rugged gorges, sparkling pristine waterholes, beaches, rivers and magnificent waterfalls in a four-wheel drive adventure of a lifetime! 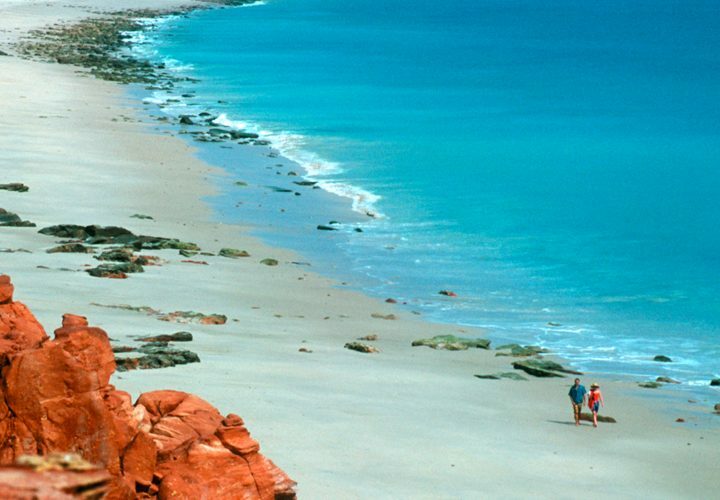 The Kimberley region boasts the whole hullabaloo— as she truly is one of the spectacular last frontiers! 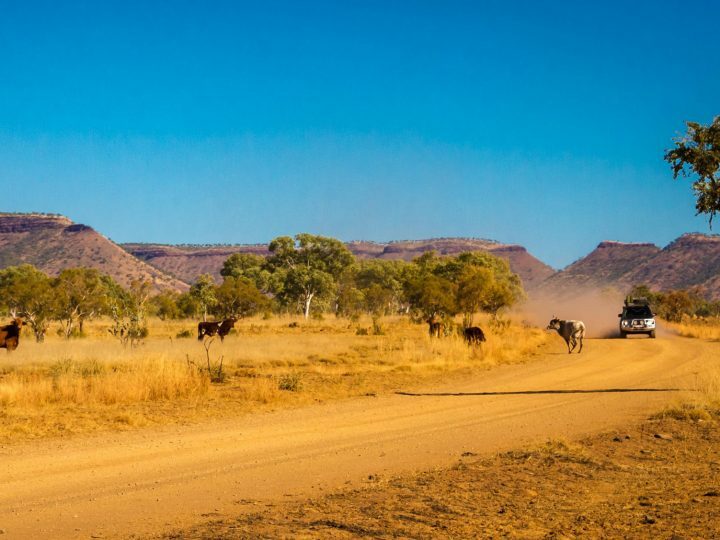 There are some vitally important travel considerations you will need to look at when planning your Kimberley four wheel drive adventure. Should you invest in a professional 4WD Tour or choose to embark on a Self-Drive option? Of course, there are plenty of advantages and some disadvantages with both options. The evident primary advantage is that you can use your own vehicle which offers huge economical savings and also generally means superior experience in vehicle knowledge, expectations and handling since you are taking your own vehicle. Or you may choose to hire one from a reputable 4WD hire company. You decide the overall pace of your Kimberly adventure holiday as you have full control of your itinerary. Self-drive options also give you the total freedom and flexibility of choosing on road or off the beaten track locations, how long to stay and so on. A self-drive option also provides greater comfort and privacy. The blatantly apparent disadvantage of choosing a self-drive 4WD Kimberley adventure is that if something goes wrong you may be stranded in the wilderness without any assistance! What can possibly go wrong? Plenty! 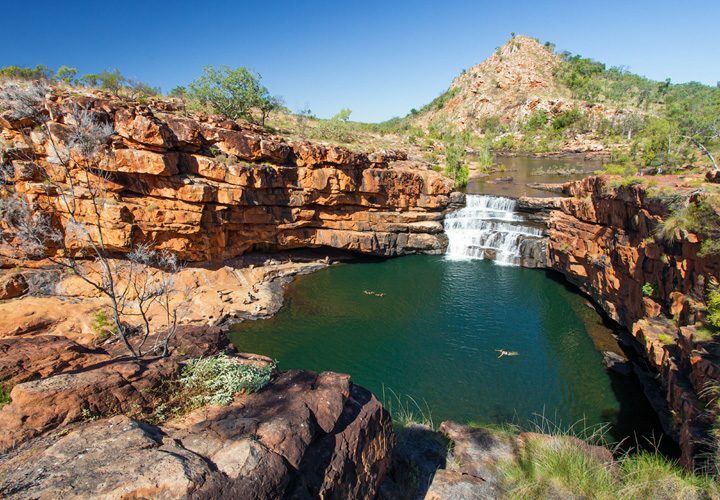 An exciting Kimberley adventure covers some seriously rough outback terrain, offering lots of isolated and remote destinations located in the middle of— absolutely nowhere! Let’s face it— getting there is half of the fun! Your Self Drive Go It Alone Adventure Holiday may become an absolute nightmare should encounter flooded rivers making road crossings dangerous or totally impassable or perhaps your 4WD becomes bogged in one of the many desolate soft sand tracks with little to no regular traffic! Or you may experience any number of possible vehicle breakdowns or problems— but then again; you may not. A Kimberley 4WD Tour Adventure means you can just relax and enjoy the trip as an experienced and professional tour team will take exceptional care of— absolutely everything! Exactly what does everything mean? The 4WD vehicles are usually very well maintained and fully equipped with all safety and communications equipment as well as an excellent catering service and of course— experienced professional tour guides specialising in the Kimberley outback adventure experience. Being part of a small professional 4WD Tour is priceless as you get the best of both worlds— a subjective itinerary created by experts guaranteeing you an amazing and unforgettable holiday adventure. You will not only relish the experience of 4WD tracks, river crossings and breath-taking sights but also establish a tremendous unique friendship with your 4WD Tour guides as they share their wonderful expertise and love of the Kimberley region with you. Like all guided tour holiday options, the 4WD Tour type also has a few disadvantages although, the smaller sized groups often have fewer and lesser drawbacks. The initial negative is primarily the set itinerary dictating the specifics of your trip. This may include which destinations and must-see sight inclusions are visited, limited time frames offering little or no flexibility as well as restricted privacy, set meals & menus, very little free time, etc. The great thing is with an InStyle Adventures Private Guided Journey it is tailored to your own abilities and interests – as we say ‘it’s your tour but with your own personal guide’. Deciding which is the better Kimberley Adventure Option— Self-Drive or 4WD Tour comes down to personal choice as well as outback travel and 4WD off-road experience. Both options are an ideal way to take in the majestic splendour and rugged beauty of the Wild Western Kimberley Adventure Holiday Experience! If you do decide you would like to embark on a luxury 4 wheel drive adventure then contact us today for dates and availability.